Happy, happy Monday! I hope you all had a wonderful weekend. Mine was the furthest thing from eventful and it couldn’t have been more of what I needed… Honestly, I’m kind of embarrassed to admit that I barely left the house. I got my hair cut on Friday night and ran a few errands afterwards and then the only time I went out my door was to go out for a friend’s birthday dinner at Las Tablas on Saturday night. Didn’t leave my apartment at all on Sunday, not once, haha! I ate leftovers I had from the week, made my coffee at home, and it was snowing outside, so I didn’t even bother. Anywayyyy, let’s talk about my outfit! 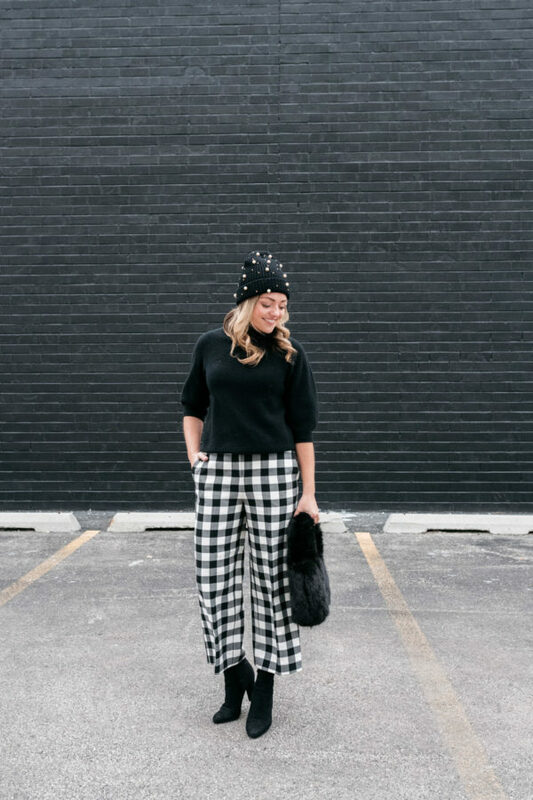 These printed gingham pants are perfect for those days where you tend to just gravitate towards everything black in your closet. For me, it’s definitely that time of year where when I don’t feel like being creative with my outfit (read: most days), I just wear all black. You really can’t go wrong, haha. These pants are a fun excuse to switch things up though! Unfortunately, they’re only available in a few sizes for regular heights, but they’re fully stocked for petites. I adore your pants! So perfect with the amazing pattern! these pants are SO fun! Loving that beanie too. Those are some fun trousers! I like the pattern, it draws attention but it’s also simple because of the colours. So cute! Love the pants. They are more versatile than they seem simply because they are black and white. 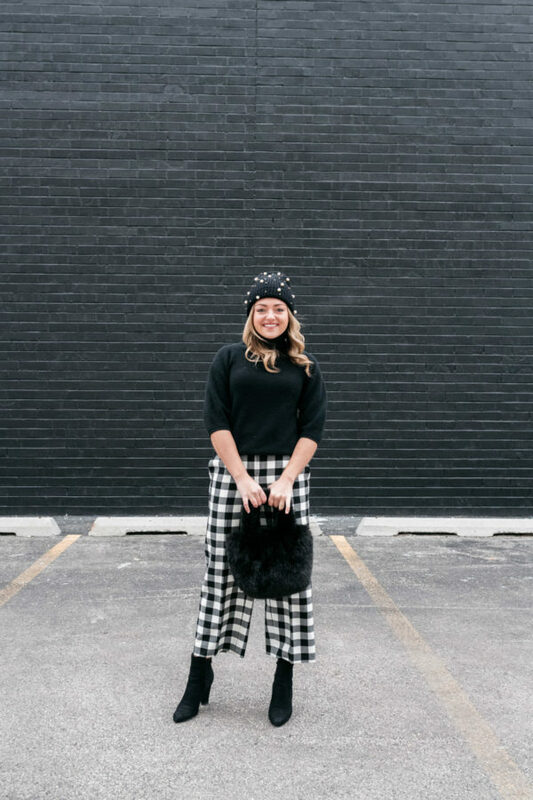 These pants are so cute and love how you styled them!